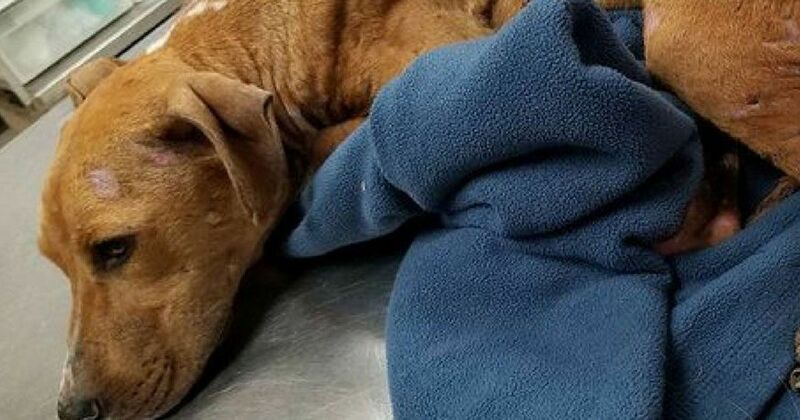 The cruelty of dog fighting — particularly, using a defenseless dog as bait to teach a bigger, stronger dog to fight — is beyond all comprehension. Yet, such was Miley's life before a kind stranger changed things for the grateful dog. One-year-old Miley had never known anything but pain. When the fighting dogs were released on her, Miley's mouth was taped shut so she couldn't fight back, and barbed wire was wrapped around her neck so they couldn't outright kill her. The torture was excruciating. 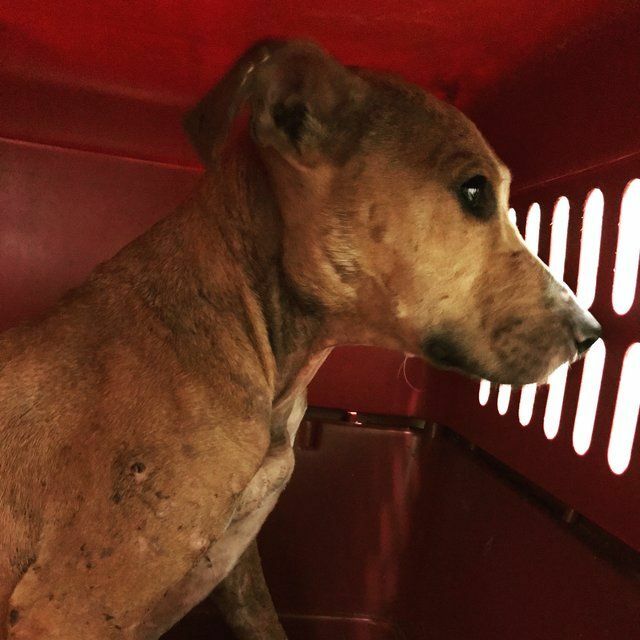 Dog fighting is illegal in Texas, but that didn't stop this operation near Austin. 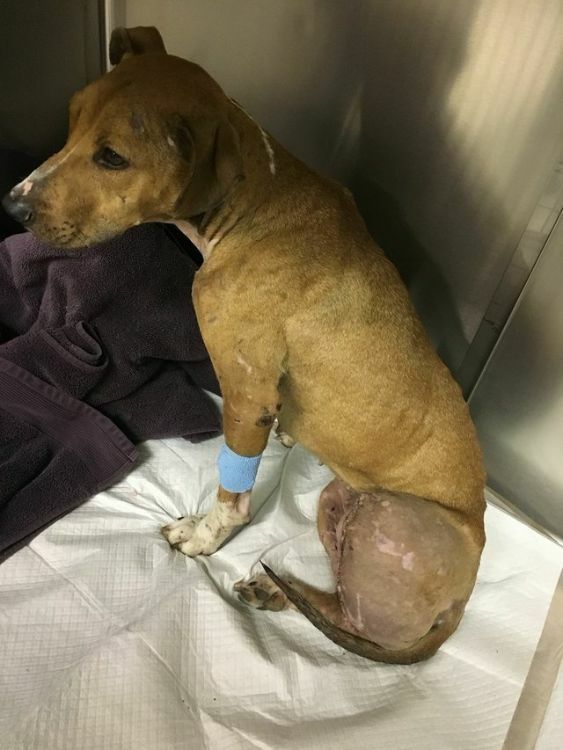 When Miley was hurt so severely that she was no longer useful, her cruel owners tossed her out on the street, one back leg barely attached. The vets who examined her pieced together her story from the marks and wounds all over her emaciated body. Although no one had been there to see the devastating details of her ordeal, the scars were like a diary of her life. 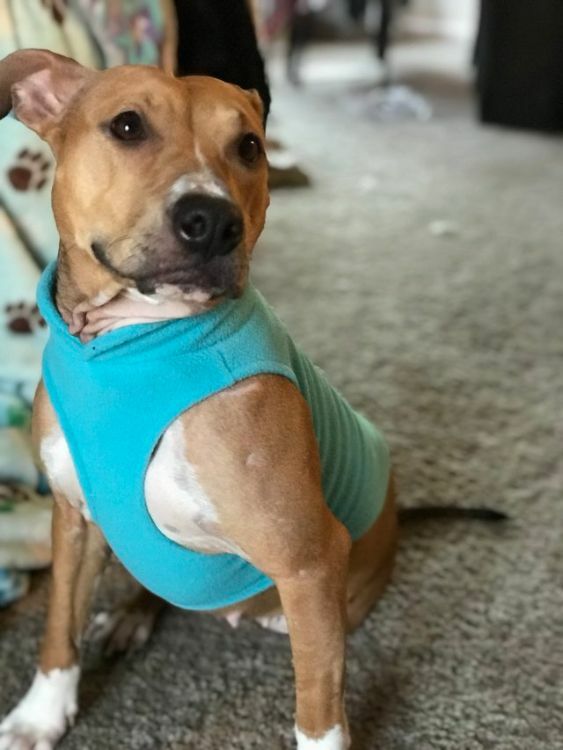 The animal control officer who found Miley knew the local shelter couldn't afford to amputate her ruined leg and would have to euthanize her, so he pleaded with Facebook followers to come to her aid. That's when Amanda Holley saw Miley's picture. 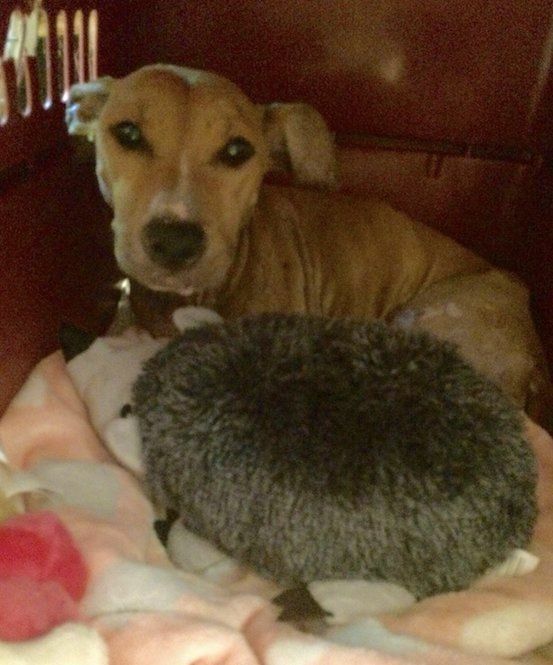 “Without even thinking, I offered to pick her up and keep her overnight so I could get her to the vet the next day. A woman on the post started a fundraiser to cover her medical bills," Holley recalled. 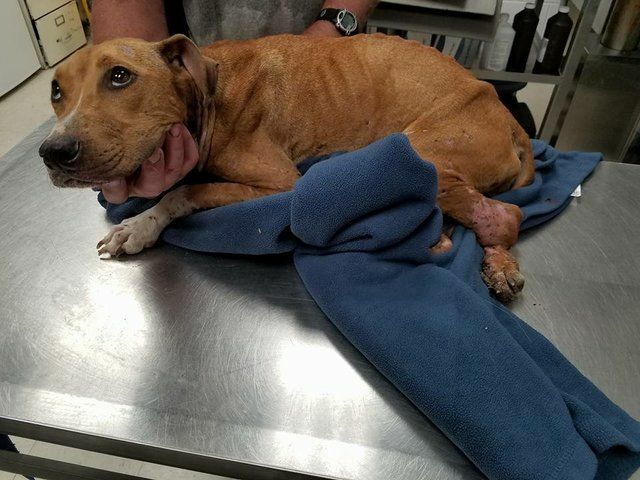 “She wouldn't even make eye contact and just kept staring out the side of her crate,” Holley said. “I went out and bought her a stuffed hedgehog, and when I gave it to her, she looked at me as if it was the greatest kindness ever bestowed on her. From that moment on, she made eye contact and would take meds from my hand. She changed my life in a matter of hours.” And miracle of miracles, Miley's life changed, too. 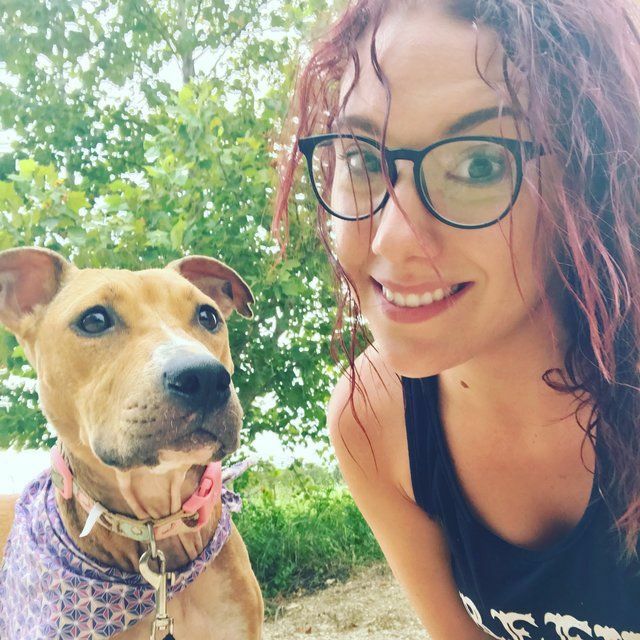 The community raised enough money for Miley to have surgery in under two days. 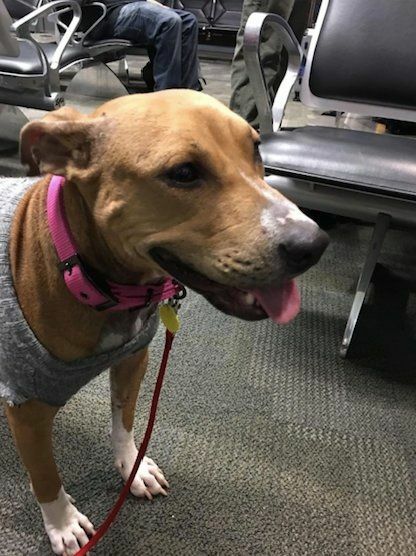 Holley, who'd never intended to keep the dog, found her a foster home right away, but she made certain that she would be called if Miley ever needed her again. That day came sooner than anyone thought. Holley had Miley shipped to her in Baltimore. She'd had the pooch for only one day months earlier, so she wasn't sure Miley would remember her — but Miley not only remembered her: She was ecstatic to see Holley again. Miley was in for another sweet surprise, too. Ace, another rescue, became Miley's new brother. 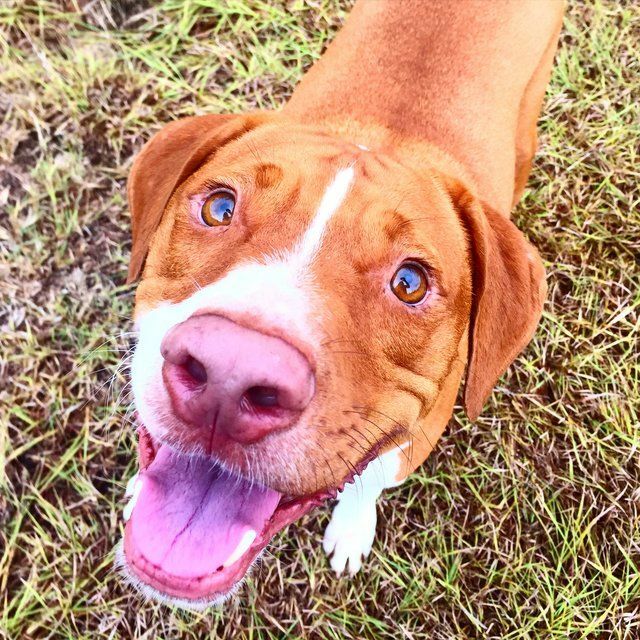 Ace had spent the first three years of his life in a shelter, so he was nervous about both people and other dogs. Amazingly, Miley was the more stable and confident of the two, and she is slowly drawing Ace out of his shell. Dog fighting is a felony in all 50 states and the District of Columbia, Guam, Puerto Rico and the U.S. Virgin Islands. Even simply possessing a dog for the purpose of fighting is a felony offense. Watching a dogfight is illegal everywhere but Montana and Hawaii. To learn more about how you can help stop this cruel "sport," contact ASPCA Pro. Amanda Holley made a difference; so can you.